You are here: Home » It came from outer space! Most people know these lines, the first in H G Wells’ most famous novel so theatrically spoken by Richard Burton on Jeff Wayne’s seminal work. We all have our own ideas of what ‘little green men’ might be like or how aliens might take over the world, but I think they would be low, formless lumps of ooze slithering over the earth, relentlessly engulfing any life in their path. As the first wave leaves the earth bereft of life more and more follow in their wake as each divides like amoeba, doubling in number again and again. And still they progress across the whole earth. There is no escape. or white, if you prefer your aliens to look like cauliflowers. It is astounding how a plant so low can branch so much and produce so many flowers. As well as aliens, I was reminded of the book ‘Flatterland’ by Ian Stewart, about life in two dimensions. I appreciate that people like low growing plants but these take things a bit too far. I am almost tempted to grow some in a hanging basket just to see what they look like – I am not sure if they would hang down the edges in pity or grow outwards like bracket fungi digesting a dead tree. 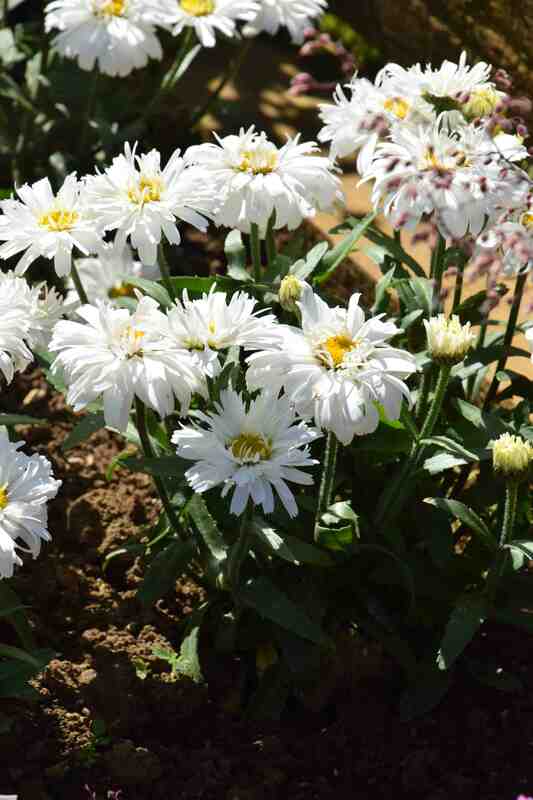 And while we are on the subject of squat things, I saw Leucanthemum x superbum ‘Freak’ for the first time in the flesh. 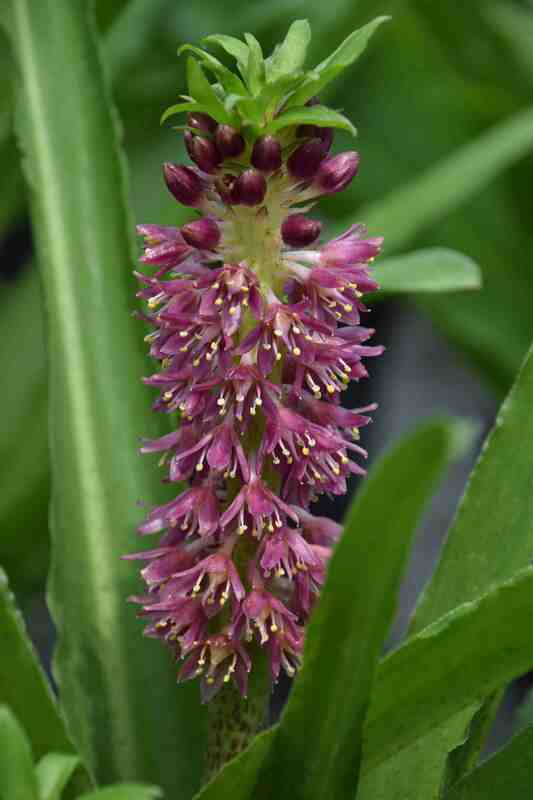 This won ‘best perennial’ at the National Plant Show in 2012 so is not exactly new. 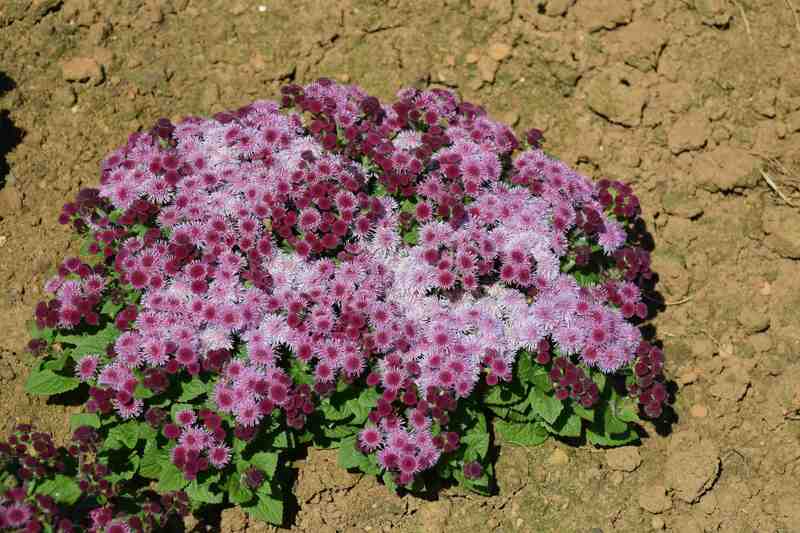 Although the flowers are nice, it is very low in habit, maybe acceptable but I am not sure. I think the name is slightly unfortunate too for what is, in essence, a pretty flower. 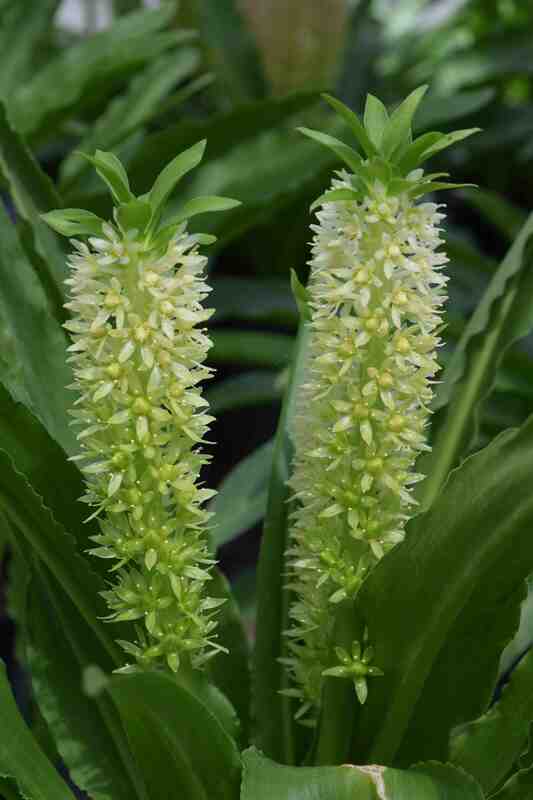 In recent years eucomis (pineapple lilies) have become more mainstream. At one time they were just oddities grown by people who likes weird plants but the development of new, smaller, more brightly coloured hybrids plus a realisation that they are generally hardier than previously thought has made them more popular, at least with the plant breeders, although I think it will be a while before they really catch on, in Northern Europe at least. 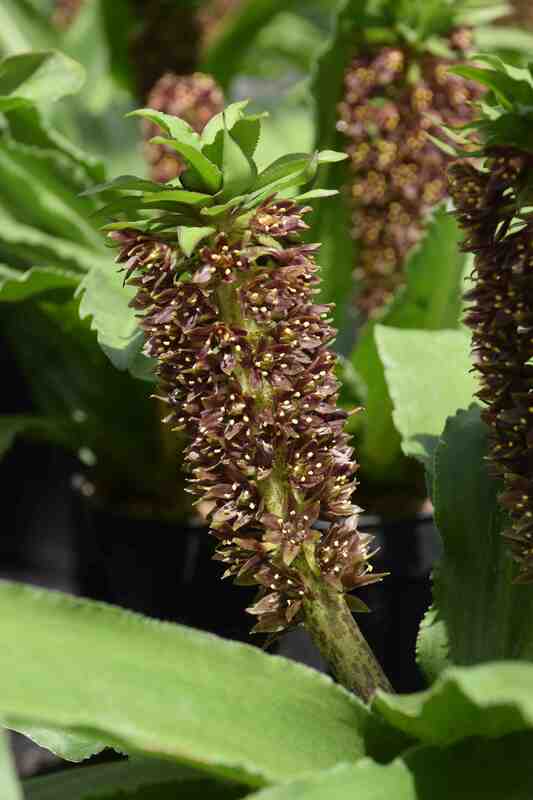 So it was interesting to see the new Aloha Lilies, bred by CalBulbs from the South African Eucomis vandermerwei, one of the smaller species, one that has rather narrow, wavy-edged leaves speckled with maroon and dark flowers. I think it is a bit confusing that they are named Aloha Lilies which suggests that they have something to do with Hawaii but there are worse names I guess. Anyway, these plants are bulbous and there are four or five varieties in the series. 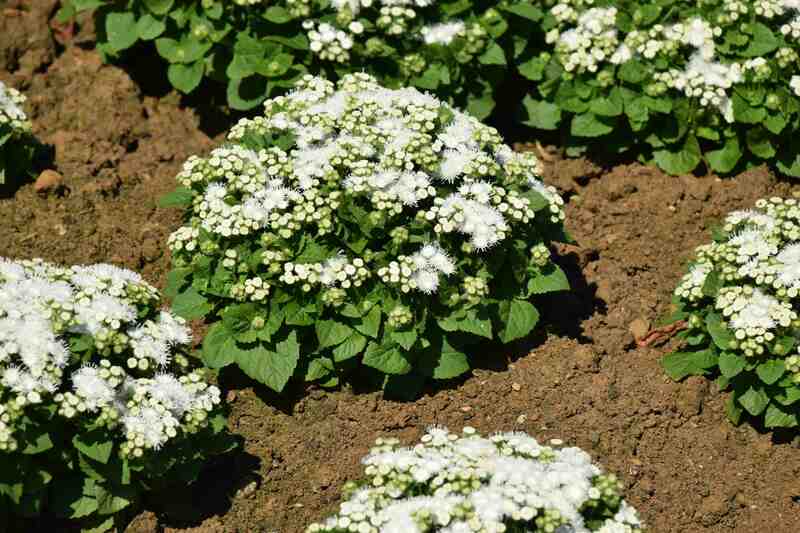 They may be hardy in a sunny spot outside but are ideal for summer pots that are kept in a frost-free place in winter when they have died down and are dormant. 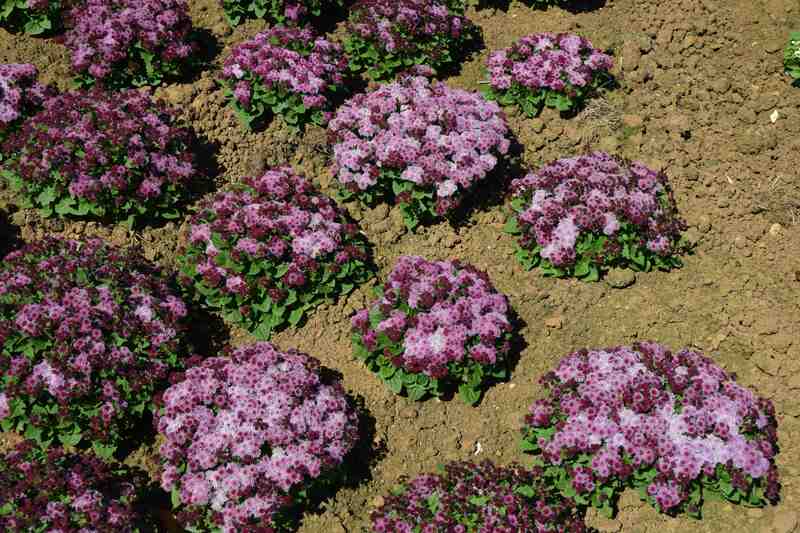 The bulbs should be planted just below the surface and watered and fed freely when in growth. 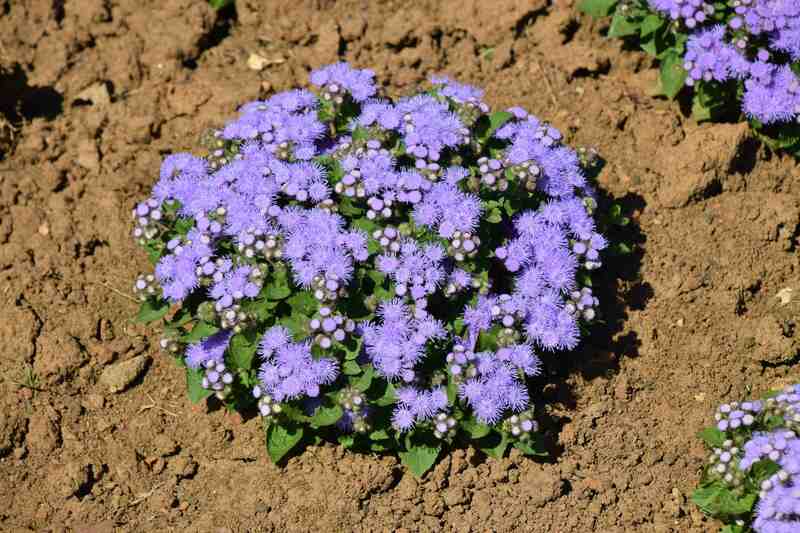 They prefer sun and warmth but they may also do well with a little shade in very hot climates. This is ‘Nani’, possibly the most attractive of them. And this is ‘Kona’ which is possibly the most striking but probably the least commercially successful – though I have no evidence of this. These are all supposed to be fragrant but I have to say that I didn’t notice this. I like the tall ones, and they are so good for cutting but yes, the old flowers on the dumpy ones turn brown and ugly. 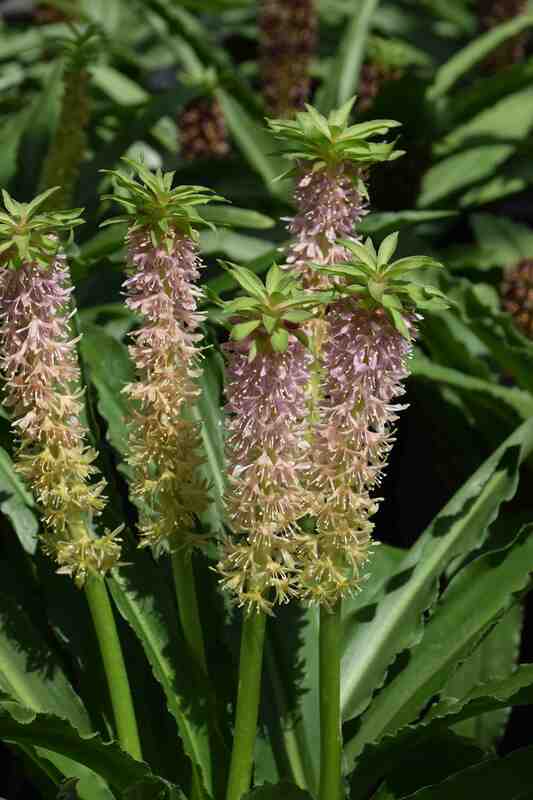 As for eucomis – it is quite an exciting time right now with so many new hybrids being introduced – and some are so tough. I have a purple-leaved one (cant remember which) in the front garden that has been through neglect and hard winters and it just keeps on making me happy!